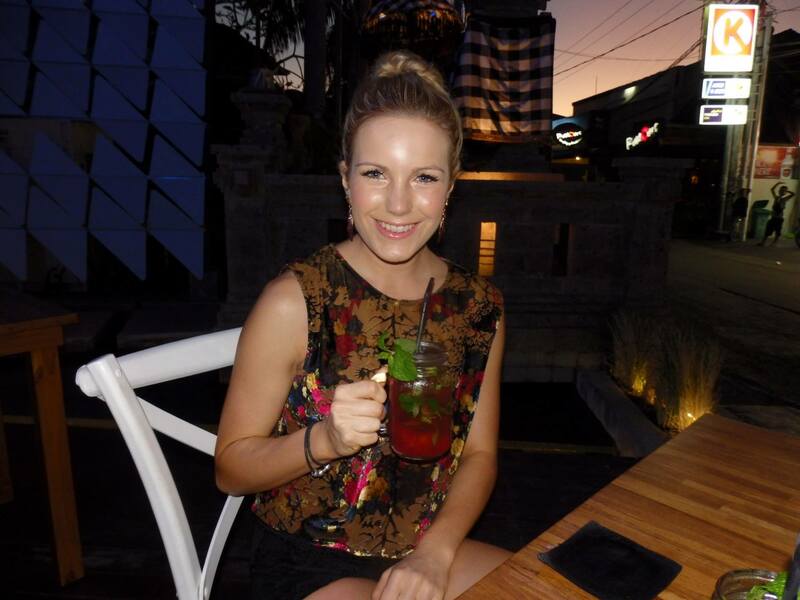 We would like to introduce a new writer on the Sharking team – Erin Dooley. She hunts out places serving health-focused menus – places that serve something other than the run-of-the-mill smashed avo and banana smoothie. With all her clean eating and nutritious know-how we think she will be a great asset to the team. So without any further ado – over to you Erin. Mantra? All in moderation. My absolute weakness is gelato. Hello Gelato Messina and Fritz Gelato! Why? In 2013 I was lucky enough to travel through Europe and experience some beautiful fresh, healthy cuisines. I have now moved from Geelong to the big city to pursue opportunities and am still exploring my new playground! There is no doubt that Melbourne is the absolute home of food, fashion and sport. My three favourite things! After appearing on the Channel 7 flop The Mole last year, the majority of the feedback I have received since the show has been regarding my eating habits so I can’t wait to spread the love. I lost around 18kg during my 20s and, of course, although I love to indulge (and love a drink and a party) I equally love seeking out new healthy spots to repair the damage! I am definitely not a vegan, vegetarian or fruitarian. You have to live a little! I am also absolutely a self-proclaimed coffee addict and SNOB! The ‘clean eating’ phenomena is nothing new in Melbourne. We are constantly hit with Instagram posts of #greensmoothies and #acaibowls from our fellow #inspo #cleaneaters but, if you are like me – the average Melburnian – who can find the time to whip up a nutritious but messy combination of kale, spinach, banana, protein powder, bee pollen, goji berry, maca powder, chia seed, raw cacao, coconut goodness? The Nutrition Bar, located among the hustle of Swan Street, is welcome addition to Richmond – a quick and easy clean eating paradise. Whether you are headed there to regain some energy after a workout, or guiltily to put some nutrition into your body after a big night out, you will find a range of fresh, clean, delicious and super-convenient options. This place specialises in healthy fast foods with its only downfall being the size of the place. With only a handful of seats and benches, it is very much a takeaway outlet rather than a cafe. I was dying to try one of the famous original acai bowls, which arguably was one of the best I have tasted in Melbourne. If you have been living under a rock, or are skeptical about all these so called #superfoods, the acai bowl is a basically a nourishing smoothie served in a bowl full of acai berries (no kidding! ), your choice of liquids (namely coconut water or nut milks), and topped with fruit and super foods. A ridicuous amount of health and weight loss benefits included! 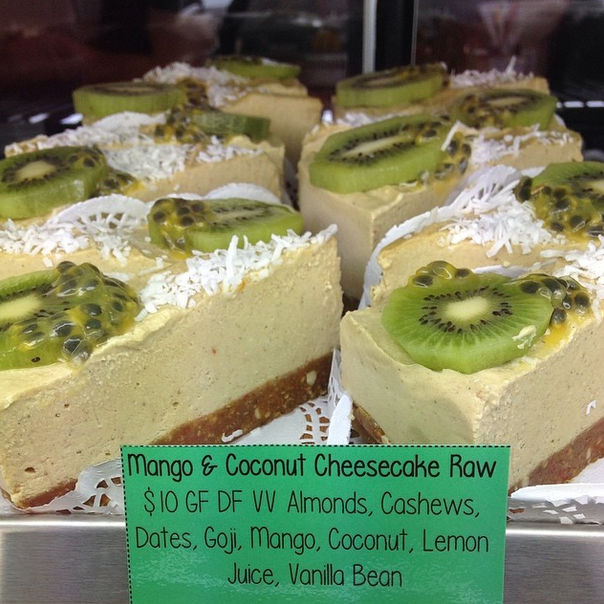 Of course with that I had to try a piece of the raw mango and coconut cheesecake, and wash all that down with a green ‘Loving Earth’ smoothie. It is safe to say I am a fan of the place. 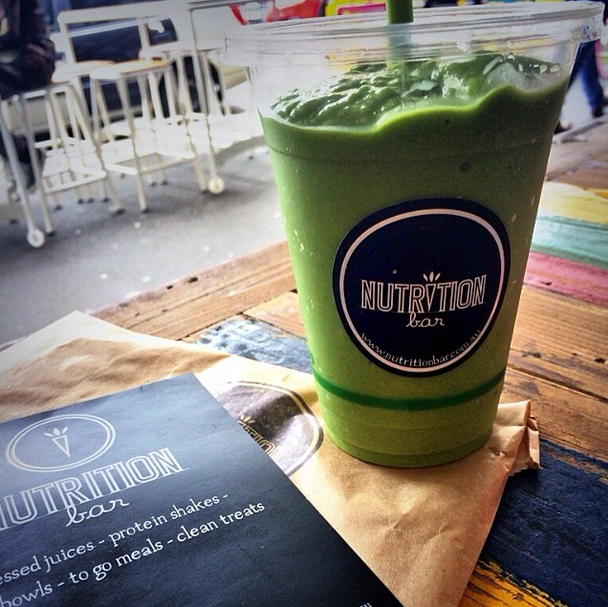 The Nutrition Bar also serves up a huge selection of juices, power smoothies, raw salads and many lunch options. Then best of all, you can grab a decadent and satisfying guilt-free desert such as a chocolate or vanilla protein ball, or a piece of raw cheesecake. If you are like me and put on 3kg at the thought of a block of chocolate, this is your place! The Nutrition Bar – 121 Swan Street. Richmond, VIC 3121.